A collection of mythic tales of when fairies roamed the Earth, inspired by folklore from around the world and told in the spirit of Jim Henson’s beloved television series. It’s not the stories you tell, but how they are told. The critically acclaimed Jim Henson’s The Storyteller: Fairies showcases four enchanting tales of fairies and their mystical realms, inspired by folklore from around the world and told in the spirit of Jim Henson’s beloved television series. 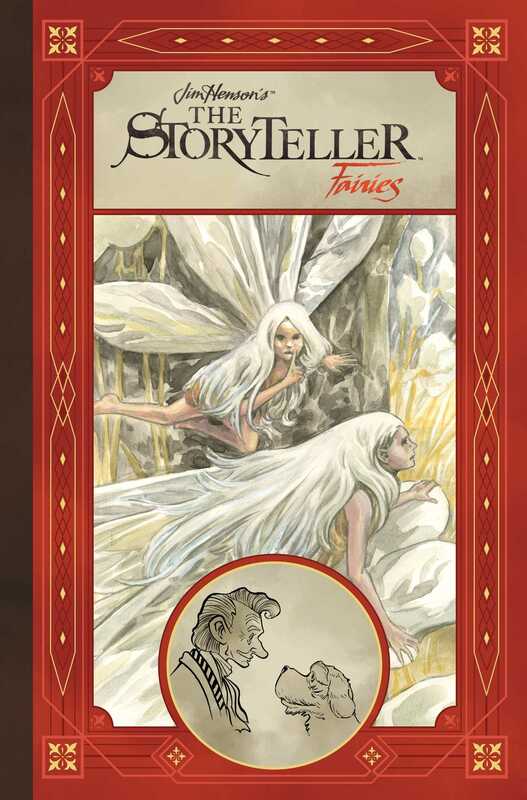 Featuring an eclectic set of stories by some of today’s most original talent, including Matt Smith (Lake of Fire), Tyler Jenkins (Grass Kings), Benjamin Schipper, and Celia Lowenthal, this stunning hardcover edition also includes an exclusive behind-the-scenes look at the process and care taken in adapting each of the these timeless tales.